There is a new motorcycle shop in town: Indian Motorcycle of Greensboro, located at 201 South Church Street. They have both new and pre-owned inventory. In the background of the above photo, Sales Manager Bob McBride is walking over to help a customer. In the foreground, you see a 2014 Indian Chief Vintage. Polaris Industries, now owner of the Indian Motorcycle Company, introduced the current line-up of Indians in August 2013. The very next month Greensboro entrepreneur Monty Hendrix began negotiations to bring a dealership to Greensboro. There are three models currently available in the Indian line, the Classic, Vintage and top of the line Chieftain. The bikes have received rave reviews from the motorcycle press. Monty, Bob and all the staff would be happy to give you a personal introduction. Friendly Avenue Church of Christ is located on Friendly Avenue a little bit east of Guilford College. It is located on a section of Friendly Avenue where there must be at least a dozen churches, all having so much to offer their congregations and the community as well. Friendly Avenue Church of Christ is a very dynamic church. In addition to worship services, they have community service projects like the backpack program where they commit to filling backpacks for children in need. They have mission trips to the Dominican Republic, a Spanish ministries, baseball fellowship outings, clothing drives and so much more. We took a picture of the back side of the church so that you can see how these churches in Greensboro tend to expand by adding on to the original structure. In the upper lefthand corner, you can see the bright white steeple peeking out. Unfortunately, on their website, the church does not provide a history. It would be nice to know when it was built, as well as other historical details. They rent for $600 a month and up. It would be fun to buy a unit and have friends and relatives in the other units. The front porches make the entrance look so cozy and inviting. In the pre-airconditioning years, those steps would have been filled with parents and children, especially moms, sitting and chatting at the end of the day. The view would be even nicer if the city would bury the power lines. Happy Saturday, to our friends in Greensboro and beyond! Time permitting, seek out these rowhouses this weekend. We are so lucky they have been preserved. Airplane Is Closer Than It Appears! The airplane in the photo is closer than it appears; as are the two trucks that are parked alongside Inman Road, just where it crosses Bryan Boulevard, near the airport. This grassy area is a prime location to sit and watch for airplanes approaching the Piedmont Triad International Airport in Greensboro. Some days, the approach brings the planes even closer to Inman Road. Plane-watching is great summer fun with little ones, especially if you can't be on one heading somewhere on vacation. Can you believe it is almost July? Even if you are not leaving town for vacation this summer, there is plenty to do around Greensboro. All you have to do is look, and not always at eye level. We're wondering if it would be allowed to bike to this grassy area and have a picnic! Happy Friday! Greensboro Grasshoppers- Great Baseball Fun! If you are looking for a little summer fun, consider heading out to Newbridge Bank Park for a little Greensboro Grasshopper baseball fun. This minor league baseball park opened in 2005. The park accommodates 7,000-10,000 people. Seating options range from luxury suites to grandstand boxes to a picnic area in the grass and then plain ole traditional stadium seating (reference). Last week, we got to watch the Grasshoppers come from behind and beat Haggerstown. * If you are able to go to a home game on Friday or Saturday, you will be treated to fireworks at the end of the game. As seen in the above photo, it is really easy to get close to the field to watch the game and the Greensboro skyline in the background looks beautiful. If you get a chance, please go check it out for yourself and take in a game- a great Greensboro tradition. *here is the schedule if you are interested. The above house is located at 24 Snowgoose Cove in the Turnstone Village section of the Lake Jeannette neighborhood. Turnstone Village, built in the early 1990's, was the first neighborhood built around the lake. The first couples to move in, built their homes as they started their families. In the early years, the cul-de-sac was full of Playskool and Little Tykes items. Children had playdates while moms sat on their lawns and socialized. Two decades later, the houses are still nice and the landscaping is mature. The original families are long gone and their children have now graduated from high school. The above house is located on a little stream that feeds into the lake. We selected it for today's post because the address is 24 Snowgoose. 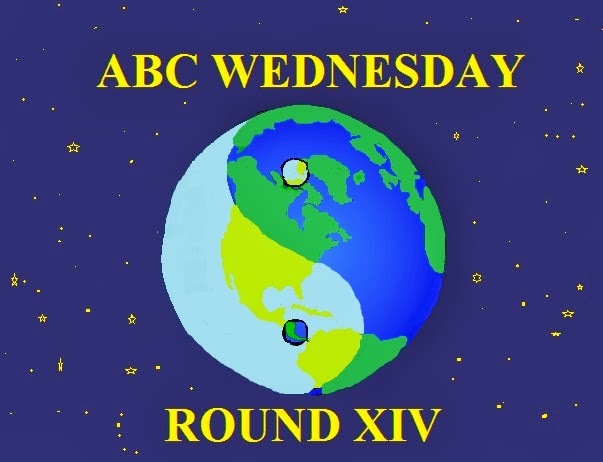 Today is X day for ABC Wednesday and, since X is the 24th letter of the alphabet, we're saying that 24 is for X. And, believe it or not, finding a street addresses below 100 is no easy task. For today, X marks the spot, and "the spot" is 24 Snowgoose Cove! We know, this is an elementary code that even a Kindergartener could crack. Regardless, have a great "23, 5, 4, 14, 5, 19, 4, 1, 25" everyone! We had a guest in our house last night, a green treefrog. He was hanging out on our front door at night enjoying a feast of insects flying around the porch light at night. In North Carolina, green treefrogs are more common in the wetlands and swamps of the Costal Plain area. However, they are expanding into the Piedmont, and Greensboro is part of the Piedmont. This is the first one we have seen in our neighborhood. We have a lot of frogs, but they are darker and lack the bright white stripe. These green insectivores love to eat flying insects and go to great lengths, hopping and jumping, to catch dinner. Mosquito? Check! Fly? Check! Cricket? Check! Yummy! The more the insect moves, the more the green treefrog works to eat it. What a show! Every time we see any frog in our yard, we are glad that we weed our patio by hand. Amphibians are very sensitive to chemicals. A little weeding (actually a LOT of weeding) is not only good exercise, it is good for the critters living around us. We hope you do things to make your neighborhood a good one for the ecosystem and that you have time to sit back and enjoy nature. The green treefrog's sound is described as queenk, queenk. * And so, "Queenk, Queenk," for reading our website today! *Listen to his call, here. Hare Krishna is a mantra, and it was sung yesterday by the above people at Greensboro's 10th annual Summer Solstice Festival. The mantra (hare krishna, hare krishna, krishna, krishna, hare hare, was first popularized around 1500 AD. It is meant to bring spiritual enlightenment. Strict followers of this stict belief system aspire to lead holy lives and they abstain from intoxicants. The Hare Krishna group sat still for a very long time yesterday chanting and playing their various instruments. A few, we walking around explaining their belief system to others. Stay tuned and we'll feature mora about the solstice event later this week. And, if your want to read more about Hare Krishna, do so, here. Happy Sunday, and Hare Krishna, dear readers! Those who attended the Solstice Event last night got to see the real, decorated lemons. The Food for Thought exhibit will continue until August 24th and is well worth the visit. The women to the right are walking along South Elm Street, visiting downtown Greensboro. Had we been quicker, we would have asked them, "What do you do when life gives you lemons?". For our friends at Weekend Reflections, pucker up! This lemony photo's for you! And, albeit understated, the reflection is present! Summer is a great time for enjoying nature. Featured today is an eastern Hercules beetle (Dynastes tityus). It is among the heaviest and longest in the United States. * As seen in the above photo, the beetle is larger than a quarter. Imagine happening upon it in a parking lot, or, stepping on it in your yard. If you look closely at the above specimen, you can see that it is cracked and dead. When they are living and healthy, they are darker. This is the first one we've ever seen in Greensboro. If you enjoy bug watching as much as we do and live in North Carolina, here is a bug identification guide for our state. Summer is just getting started and most of us are still in the honeymoon stage with the season. After another week or two, we all may be looking for something different to do, especially in households full of children. Consider bug watching. In Greensboro, we are lucky enough to have a great science center where employees are usually gracious enough to help with critter identification. *reference and read more, here. The above sculpture, entitled Ed Whitfield at the Caldcleugh Community Center, was created in 1996 by American Artist John Ahearn. Both artist and subject attended Cornell University; however, they first met during Ahern's residency at the Weatherspoon Art Museum. According to the description of the piece, the hands on Whitefield's chest are the protective hands of children. Not seen, are framed photocopies of newspaper clippings documenting significant events in Whitefield's life. This sculpture is one of many pieces in an exhibit related to social justice. Currently, the Weatherspoon is gearing up for their 10th annual Solstice Event this Friday night (from 6:30- 9:30). The Weatherspoon is also delighting in the international visibility they have gained as a result of being listed in BuzzFeed's list of "18 Hidden Gems Around the World that you Need Visit. "* Indeed, Greensboro is lucky to have such an amazing resource available- and it is free and open to the public. If you have time, consider visiting the Weatherspoon. For ABC Wednesday, "W" if for "Westherspoon" AND "Whitfield." See News and Record article, here. Looking for a little summertime fun? Head to one of Greensboro's museums. They all offer something artistic and creative and are all free or nearly free. In the above photo, we are in the 600 block of South Elm Street at Elsewhere, The Living Museum. The photo was taken on the First Friday event in June, when they had a shoeshine stand set up. When we were there, the shoeshine person was not in. However, there was still plenty to do between the visual and performing arts at Elsewhere and in the street. When is the last time you've had a pair of shoes professionally cleaned and polished? Would you even know where to go? There is something fun for your summer "to do" list. Go out and get a shoeshine. If you have some bored tweenagers, encourage them to set up a little shoe shining business. Hello, summer fun in Greensboro; hello, positive cash flow in your household. The above photo was taken on the lawn of the student union at UNCG. * The University is known for its fabulous landscaping. Right now, the daisies on the lawn are in full bloom. We jokingly title today's post, Please Don't Eat the Daisies, not so much because students are tempted to eat daises, but they sure are tempted to pick them and share with each other. The building in the background is the Bryan School of Business. It has a solid reputation, getting positive reviews from Bloomberg Businessweek and The Princeton Review. On another note, today, Eastern and Page High Schools hold their graduation ceremonies today, at the Coliseum where several ceremonies were held this weekend. Quite a few Guilford County School students are electing to stay in Greensboro to attend UNCG. Likely, many will walk the above path many times, and maybe that great business school in the background just may be on their horizon. Happy Monday! *if you are not from Greensboro, UNCG stands for the University of North Carolina at Greensboro. On any given Saturday or Sunday, you can be sure that Our Lady of Grace Catholic Church, on West Market Street, will be alive with people who are celebrating life's events. The above photo features one such event, one of the seven sacraments, a confirmation. Our Lady of Grade is such a beautiful facility that it provides a lovely backdrop for these events. Yesterday, several children were being confirmed and their sense of pride, committment, and believing warmed the hearts of family, friends, and onlookers alike. The statue of Holy Mary was a popular final spot for photography before leaving the church grounds. While the physical structure of a church may be beautiful, not until it has active members, like the ones above, does it come alive. Whether worshiping or having fellowship with family and friends, remember that people bring events to life. Happy Sunday, whether you are in Greensboro or elsewhere, celebrating or not. See our previous post, here, about Our Lady of Grace if you want a little church history and an interior view. Greensboro's third Egyptian restaurant has now opened. Koshary joins Cleopatra's and Samir's as a place to go to enjoy Egyptian cuisine. Koshary is located on South Elm Street in the building that formerly housed Opa!, a Greek restaurant. * Koshary, also kushari, is a rice based dish with macaroni, short pieces of spagetti, lentils, chick peas, tomato sauce, spices, and anything else that your family elects to add to the dish. Koshary, historically was a "working man's" dish as it was a way to use up leftovers and was convenient to take to work for lunch. It is Egyptian comfort food. The restaurant does not serve pork or alcohol. But is does serve lots of great Middle Eastern dishes above and beyond koshary. The established is owned by the same family that has Oakcrest Family Restaurant, beside Fleet Plumber on Battleground. ** The restaurant seems to be off to a good start, enticing people to stop by and try it out. Seeing the Arabic word "koshary" makes us wonder if it is related to the Jewish word, "kosher." Any readers out there have the answer to that one? *see a 2010 GDP photo of Opa!, here. Mayor Nancy Vaughn was the featured speaker at the convocation. She did a wonderful job of helping students dream about their future, their potential, and the places they will go. However, the mayor- ever loyal to Greensboro, reminded them to come home to this beloved city. Sunday, the above "Whirlies" will don their caps and gowns once again to graduate. On Monday, Eastern and Page High Schools will have their graduations, that will be it for Guilford County's graduation ceremonies. Such a hopeful time in the lives of our young adults. If you see any graduates, wish them well. It is such a special time in their life. * see their Wikipedia page, here. At one time, Pleasant Ridge Road was a winding rural road. This house on Pleasant Ridge Road, at Market Street, exudes the county home feeling of yesteryear, so typical to Guilford County. As you read, the buldozer is in the backyard of this house and part of the land has been cleared. The tin roof, gable, front porch, large windows and door in the center of this one-storey house all evoke living in times gone by. A single family dwelling with land is quickly becoming a luxury and, in many cases, something people don't want to maintain. The setting sun adds to the nostalgia of the scene. Have you seen places in Greensboro that look like this home? Do you like the simplicity or find it dated? We all have our preferences and, fortunately, there is something out there for everybody. Drive by and have a look at the above property. Soon, it will be an apartment complex or a distribution center, or a new highway lane. It is always interesting to see what things become. Happy Thursday! Between farmers' markets and community gardens, Greensboro has proven that it sure likes its vegetables. The above display, located at the Weatherspoon Museum, is an advertisement for the Glenwood neighborhood's Recipe Roundup. As stated on the initiative's website, The Recipe Roundup was initiated by artists Harriet Hoover and Early Smith. It is supported by the Weatherspoon Art Museum. They are collecting recipes, illustrations and narratives surrounding the nearby Glenwood neighborhood. * The Weatherspoon is gearing up for their ever fabulous Solstice Party (Friday, June 20th 6:30- 9:30) and their upcoming exhibition entitled food for thought. Hats off to the Weatherspoon for their community involvement. Hats off to Hoover and Smith for planning a project around community gardens and those ever nutritious VEGETABLES. We're sharing this photo with our friends at ABC Wednesday. This week, they are celebrating the letter "V." At Greensboro Daily Photo, "V" is for "vegetables." See our previous A-Z Alphabet Soup entries, here. *read more about the Glenwood initiative, here. School is almost finished for public school students. This has been an intense, polarizing school year in Greensboro and in all of North Carolina. Between the season's weather events, educational reform, changes to the reward system for teachers, budget issues, and the debate over common core, this school year has had been one of asking and attempting to solve very difficult educational questions. Summer vacation provides much needed time for relaxation, reflection, and rejuvenation. The above photo, taken at the outdoor tables at Cheesecakes by Alex, reminds us of how relaxing it can be to fill a mason jar with cut flowers and sit in the glorious outside. The simplest of things can be the most comforting. It is a matter of taking things we have around us and arranging them in the most pleasing manner. Here's to starting off our summer appreciating the simplest of things and, in our calmest moments, we just may find answers to some very complicated questions. And, if not, at least, we'll all come back to the drawing board rested. Last weekend's First Friday was extremely well attended. Great weather brought out people from all walks of life. In the above photo, at the corner of MLK Jr. Drive and South Elm Street, we see performance artist affectionately dubbed, "Golden Girl." In reality, this living statue bills herself as One Eyed Jane* She stands motionless for very long periods of time, and she does it masterfully. You may recognize this performance artist from Greensboro's Summer Solstice Event. If you see her, be sure to drop in a tip and tell her she is great. Living statues thrive on financial and verbal reinforcement! It takes a great deal of time, money, and effort, to transform oneself into a golden statue- from head to toe! Beyond this living statue, we see the bust of Dr. Martin Luther King, Jr. (seen, here). This corner is a dynamic spot in Greensboro. Dr. King never knows who is going to join him for the day. *if you are interested in hiring this living statue for an event, contact her at oneeyedjane@gmail (dot com) or (three three six) 409-9195. Earlier this week, we brought you a write up about State Street and were standing in the street, directly in front of the above church, when taking this photo. We featured this church in 2012, when it was known at State Street Church of God. Presently, this church at 200 State Street is known as Gate City, and it is for sale. The asking price is $1,200,000. It comes with a parking lot and a parsonage. It was built when the mills were still going strong and people spent more time in their neighborhood communities. According to listing records this location is part of a subdivision of Old Irving Park, known as Lenora. * We had not heard of Lenora; however, there are many names of communities that have gone by the wayside. Let's hope that this church is purchased and put to good use. It seems so strange for a house of worship to be sold. Who gets the money? God? Churches are usually the result of collaborative, fundraising efforts or large donations. It seems so strange to see one for sale. Some architecture can be easily disguised. 200 State Street in Greensboro, North Carolina, however, exudes.... CHURCH. The Beard & Moustache Club of North Carolina held a mini-gathering in front of Civic Threads on South Elm Street during First Friday last night. The above guys are two of forty some men who gather to talk facial hair, hold contests, and, above all, fundraise for charity. Officially, the Beard and Moustache Club of North Carolina, "is a community of men and women who promote and educate the accolades of beards and moustaches." The Greensboro Chapter meets at the Local House Bar near Grasshopper Stadium. Additionally, they meet, well, wherever kindred spirits are found- like in front of Civic Threads. They have festivals and competitions and are ever raising money for charity. At a recent event , $10,000 was raised and donated. In addition all of their charitable contributions, they just seem like nice guys. In the above photo, we see two members of BMC of NC. They gave us a great briefing on the organization and made it quite clear that meetings are a lot of fun and open to not only men who are facial-hair-challenged, but also women. We'd love to go just to see how many famous historical figures we could imagine at one of their gatherings. For example, the guy on the left looks a little bit like Grigori Rasputin and the man on the right, a tad bit like Vladimir Lenin. Wonder if they'd consider doing living history lessons. Hmmmmh. Maybe we could recreate the entire cast of the Bolshevik Revolution. A new fundraiser for charity. Today is Weekend Reflections and the reflection in the Civic Threads window is worthy of sharing! Today's photo is of a field of red clover very close to Deep Roots Co-op in downtown Greensboro. The was beautiful the other morning when we were out walking. They say that the clover shoots taste delicious and the flowerheads are nutritious and full of protein. The heads are better when they picked when they are young and tender and then cooked. For sure, bees love the fields of clover. We learned in this TED Talk that part of the reason the bee population is in decline is that crop and ground cover diversity is decreasing. A well-managed lawn would be devoid of clover, something that bees love. The above lot appears to be planned for development soon. So, look fast, likely, the field of clover is not long for this earth. For now, the bees and we can enjoy it's majestic beauty. Happy First Friday. Just a little southeast from this photo, on Elm and Greene Streets, great fun is happening. Yesterday was a gloriously sunny day in Greensboro. The above photo was taken on the Irving Park side of State Street. We have always said that State Street exudes the comfortable feel of a street at the beach. Likewise, it has tremendous potential to attract pedestrians, festivals, and cultural events. We're not quite sure why it seems so empty. Proprietor-on -the-premise businesses like Mark Holder Jeweller, Tyler White Gallery, Ecclectic by Nature, and the other shops are very accommodating. Vida Pour Tea will soon be opening a tea house at 412 State Street. If you've had tea at Scuppernong Books or Beansboro Coffee Shop, then you've already experienced Vida Pour Tea. Let's hope their brewed, custom loose leaf teas will be the ticket to get people pouring onto State Street. You can pick up a great tea pot at Yamamori, Ltd., head across the street for tea, then next door to Ecclectic by Nature for items related to earth-spirituality. Next time we photograph the street, it just may be brimming with people. This past Saturday morning in downtown Greensboro, a sale was held at the corner of Bellemeade and Eugene Street. The auction of personal property, held by Dave's Auctions, was a benefit auction for the Juvenile Diabetes Research Foundation. The company is owned by Dave Kirkman, a lifelong resident of Guilford County from McLeansville. His mobile auction company goes where you need them to go and, in the above photo, on Saturday Dave's was in downntown Greensboro. Furniture seemed to be selling well and the crowd was well mannered. We hope they made a lot for JDRF, an organization with an office just around the corner from this lot. Also in the neighborhood, you can see the Mariott in the background. Today is ABC Wednesday and, as we near the end of our A-Z Alphabet Soup Series, "U" is for Unloading, that which we do when we have items that are Unwanted and Unneeded. The above photo features Walt Wofram and Jeffrey Reaser at Scuppernong Books, last month, promoting their new book "Talkin' Tarheel: How Our Voices Tell the Story of North Carolina." They also spoke at Barnes and Noble yesterday. The NC State professors have documented the North Carolina dialects and languages throughout the state: from Murphy to Manteo. They also include QR codes in their book so, when they talk about the way someone speaks or a dialect sounds, you can use your smart phone, scan the QR code, and hear what they are talking about. That is about as close to a talking book as you can get. We are so lucky that their dialect research has been going on for over twenty years and that they have recorded the special people and sounds of North Carolina while speech groups remain distinct. It is nice to see dialect approached in an informative, yet entertaining way. While neither professor is from NC, they sure have captured the essence of the way we speak. What Cecil Sharp did for collecting folksongs in North Carolina, they have done for language. North Carolina is lucky. Calvary Baptist Church is located on Burlington Road in the eastern end of the county, not too far from Sedalia and McLeansville. As seen in the photo above, the church is new construction. They have church vans on site, plenty of parking, a large grassy lot, appearing well positioned to serve their congregation. At the entrance, is an old stained glass window with the church's name (see below), leading us to believe that this new church has replaced an older one. At the moment, Calvary's website is under construction, so not much research can be done through the internet. About all we can find out is that the pastor is Reverend Paul Reginaldi. With all of the growth in the eastern end of the county, near Sedalia, Stony Creek, and Rock Creek Dairy Road, Calvary Baptist has likely seen a steady rise in membership since it opened. Happy Sunday, dear readers, whever you are today.